The new 'Vacation' reboot hits theaters this week which includes a cameo of Chevy Chase and Beverly D'Angelo along with the famous Wagon Queen Family Truckster car. 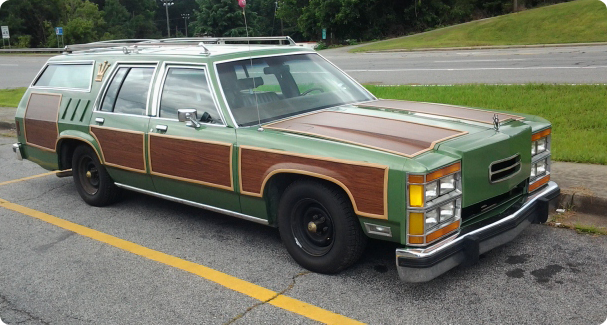 The new Griswolds use a different car in the movie, but the legend and style of the original station wagon still brings road trip memories for many people. For one family, those memories were brought to life again. Core 77 recently featured a real-life Griswold family (and by Griswold, I mean their last name is actually "Griswold") and their project to build a custom Family Truckster similar to the one in the original National Lampoon's Vacation. Now completed, you can check out the transformation at GriswoldFamilyVacations.com and get the full story behind the Griswolds' road trips to Wally Disney World.